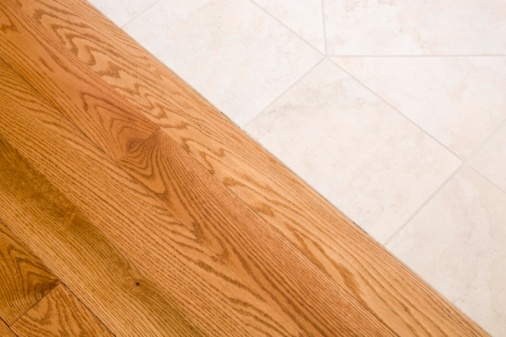 Laminate flooring looks like hardwood, but it has a tougher finish, and it needs it. Underneath that baked on polyurethane is nothing but a thin layer of plywood or paper imprinted with a wood pattern. If you were to soften the finish while removing nail polish, you'd also damage this thin layer, and the damage would be irreparable. 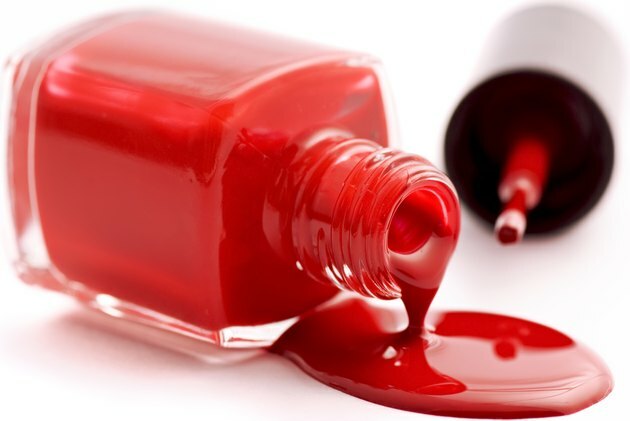 The solvent you use to remove nail polish must dissolve the polish while being safe for the finish. Alcohol safely removes polish from your laminate flooring. Nail polish is virtually the same thing as furniture lacquer, but it contains chemicals to improve the bond with your nails and to keep it flexible. Despite these additions, however, it behaves the same as lacquer: A spill hardens quickly as the solvent in the polish evaporates, but the hardening isn't permanent; the polish softens and liquifies as soon as it comes in contact with an appropriate solvent. The solvent in nail polish remover is acetone, but that chemical is strong enough to damage the laminate's finish. You need an alternative to remove polish from laminate flooring. Before you use any type of solvent that could damage your floor finish, it's prudent to try to remove as much of the polish as possible by mechanical means. Let the polish harden completely before you try to chip it off -- it shouldn't take much more than an hour to be completely hard. Work a plastic putty knife between the base of the spill and the floor, and tap the knife with a hammer. If it's your lucky day, the polish blob will fly off, leaving nothing behind, and your worries are over. Of course, it may not be that simple. Even if you're able to chip a hardened blob of nail polish off the floor or, if it's fresh, dab it with paper towels, you'll probably have to remove some residue. The strongest solvent you can use without damaging the floor finish is isopropyl -- or rubbing -- alcohol. Moisten a rag with this solvent. Lay the rag on the residue and leave it there for a few minutes, then wipe. It may take several wipes, but all the discoloration from the polish should get transferred to your rag. If you can't get a nail polish stain off your laminate floor with alcohol, you have a few options. One is to soak a rag with mineral spirits and rub the stain. Mineral spirits won't dissolve the floor finish, but it will probably dull it; you can repair the damage with floor wax. Use painter's-grade acetone or lacquer thinner in lieu of mineral spirits. Both of these solvents are guaranteed to remove the stain, but they will probably damage the floor finish, so use them as sparingly as possible. Dab the solvent on with a cotton swab and remove the polish by dabbing with a paper towel. Do not wipe the spot, only dab.